If you are looking for a relaxing break in wonderfully picturesque surroundings, the majestic Samoens village should be top of your list. 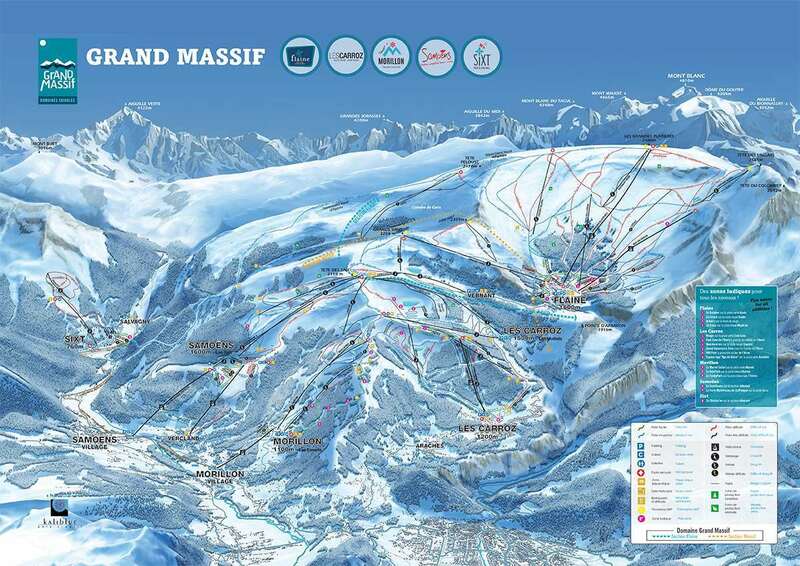 Located in the fantastic Grand Massif ski area, visitors have plenty of incredible runs to choose from with 265 km of pistes. Along with the amazing routes and snow conditions, there are brilliant bars and restaurants to explore in a truly charming village environment. For winter 2017/18 skiers and snowboarders can discover Club Med's brand new family flagship property, Club Med Grand Massif Sameons. This incredible new property is ski in - ski out, features 2 pools and luxury spa, plus dedicated areas for families. The resort will have the full range of Club Med kid's clubs available from 4 months through to 17 years. If you are searching for a resplendent and cosy atmosphere close to some of the best runs in Europe, the Samoens resort could be the pick of the bunch. Many of the accommodations here are only a short walk away from chairlifts to the wider Le Grand Massif area, as well as connecting people to the Flaine, Les Carroz and Morillon villages. It is one of the largest ski areas in Europe and guarantees plenty of options for all kinds of abilities. There is a fantastic array of runs available across the resort, with the 14km Les Cascades route being the most challenging for skiers. This stretches from Grandes Platieres to Sixt through the stunning Lac de Gers area. The Gers bowl is another stern challenge, offering 800m of terrain to explore. 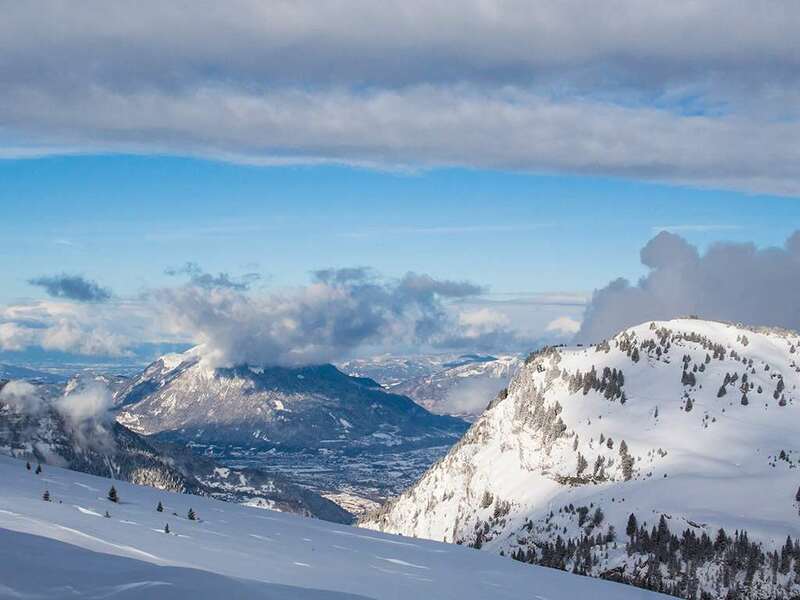 What’s more, there are some excellent views available for skiers, overlooking the breathtaking French countryside. Take in the gorgeous landscapes and enjoy the thrills of skiing downhill in one of Europe’s leading skis areas. The ski season at Samoens is scheduled from December to April, with all of the runs maintained perfectly to ensure the best possible skiing experience. There are many incredible activities to choose from across Samoens, with options to suit all kinds of budgets. As well as a phenomenal range of restaurants and bars to choose from including The Savoie Bar, Covey’s Pub, Melting Spot and Bar La Cheminee . There are some interesting options for those looking for something a little different, including snowshoeing, nordic walking, dog sledging and skijoring, where you are pulled on your skis by a horse! The closest airport to Samoens is Geneva, which is located around one hour away by car. Lyon is one hour and a half away. Samoens is a pretty village with a fast gondola up to Samoens 1600 and access to the Grand Massif ski area and the Flaine bowl. Nice restaurants in the village, but you have to book / get there early if you want a table in Feb half term week!